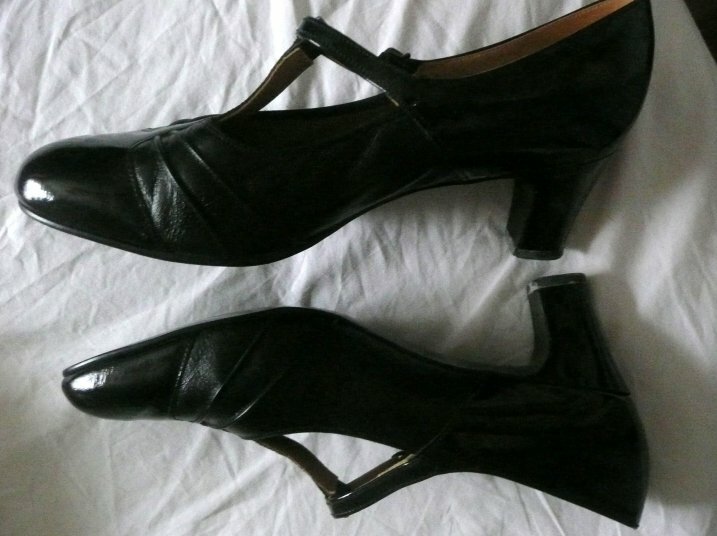 Vintage 70s part-patent T-bar/Mary-Jane shoes. Quintessentially 70s, but looking much less than their 40-years, these stylish shoes will take you anywhere! 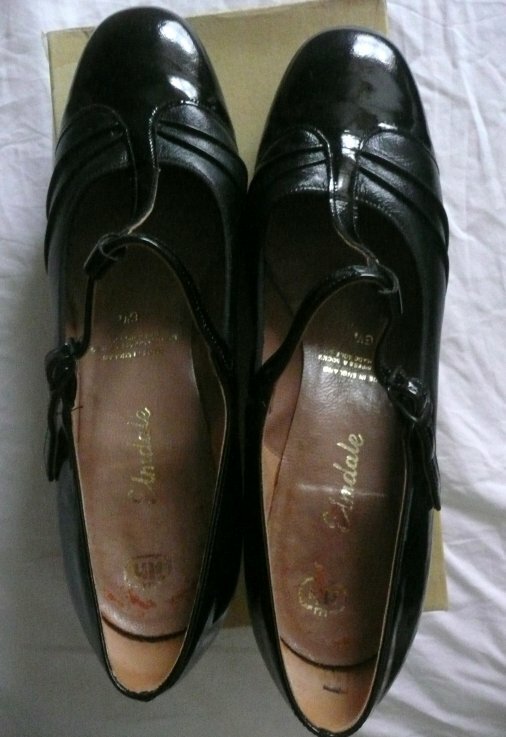 As it says on the box, they are made from 'black patent (and) softee leather: the patent parts being the toe and t-bar, and then from and including the strap round to the heel; the widest part of the shoe up to the strap joint is, indeed, nice, very soft leather. Approximate measurements: length, measured on inners sock: 10 ¾ ins (27.5 cms); maximum width across sole, £ ¼ ins (8.25 cms); heel height, 2 ¼ ins/5.5 cms. Marked as a UK 6½, they are a little large on mein the length (I take a 6); USA size 9, continental size 40. All measurements given for guidance only.